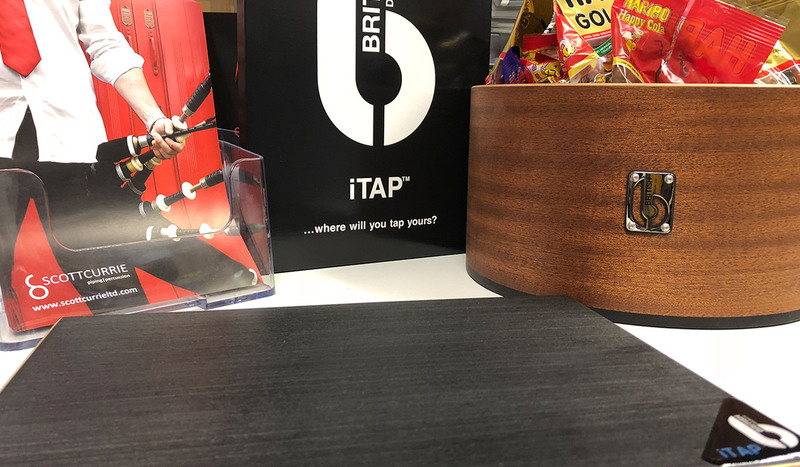 How would you like to win a British Drum Co iTap in time for Christmas? For your chance to win this amazing portable percussion instrument, all you have to do is head over to our Facebook post, guess the correct number of packs of Haribo inside the drum shell, and LIKE and SHARE the post before midnight on 30 November, 2017. The correct entries will be drawn and announced on 1 December, 2017, and the iTap and a party bag of Haribo will be shipped out to the lucky winner. Scottish bagpipes, drums and pipe band instrument supplies dealer.